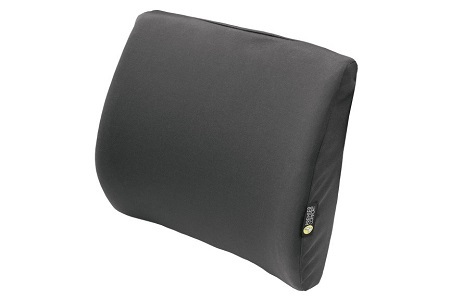 Molded lumbar support eases lower back pain and improves posture. Ideal for travel, home, office or wheelchair use. Includes breathable, washable cover.